Twenty-five years ago, Barcelona hosted the Olympic Games and it changed everything: The long-dormant Catalonian capital was spruced up for visitors, and the media coverage springboarded Barcelona into one of Europe’s coolest destinations. In 2013, 7.5 million tourists (6 million from outside Spain) visited its medieval center, went down the Rambla—the largely pedestrian avenue that leads to the harbor and the sea—and admired the city’s remaining treasures of Modernist architecture. And while many come to tour the Sagrada Família Basilica or wander the halls of museums devoted to Joan Miró and Pablo Picasso, the global interest in Spanish and Catalonian gastronomy has boosted Barcelona’s culinary culture. The result is readily apparent: Barcelona is Spain’s most notable cocktail city. “And recently, the cocktail has started to gain a foothold in the city’s restaurants, gaining popularity as a post-dinner drink,” Pizarro adds. Couple this cocktail culture with Barcelona’s history with wine and vermouth, and Catalonia’s capital is a drinks destination with few rivals. 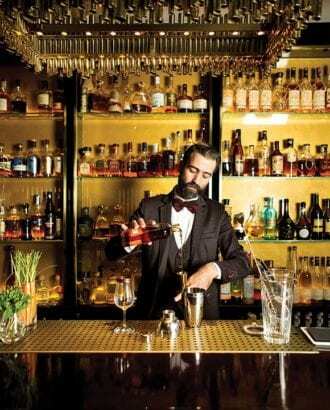 Cocktails have been a constant force in Barcelona for at least a century. Boadas, located off the Rambla, is among Europe’s oldest independent cocktail bars: It opened in 1933 and has been in continuous operation ever since. It was founded by Cuban-born Miguel Boadas, who had spent some years at Havana’s Floridita before heading back to his parents’ native country in the early 1920s. With him, he took the throwing technique, which involves repeatedly tossing a cocktail from one ice-filled tin to an empty one with arms dramatically widespread, until the drink is perfectly cold and diluted. 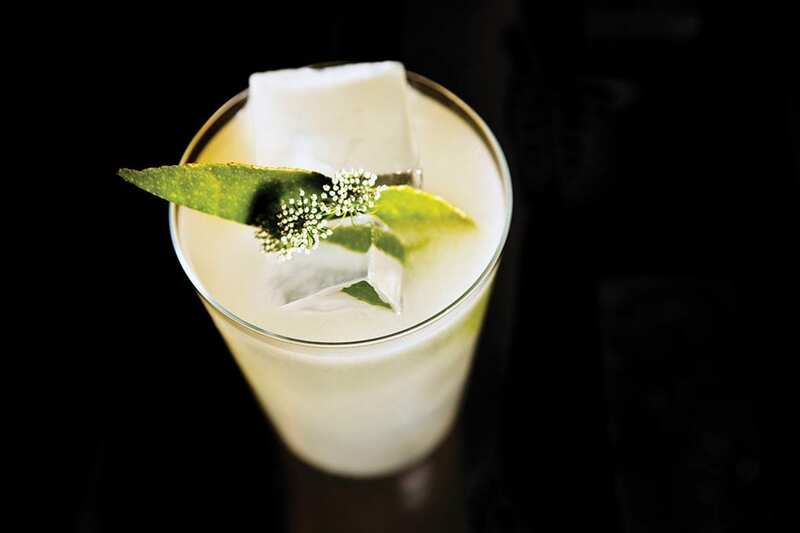 Boadas kept the practice alive between the 1950s and the early 2000s, when the cocktail revival turned the once outdated maneuver into a fashionable technique. 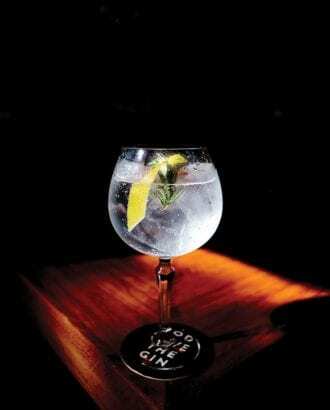 A Gin & Tonic at Bobby Gin. The Boadas family opened a second bar in the ’70s, just up the street. Called the Caribbean Club, it was designed to look like the bar of a sailboat anchored in Havana’s harbor. A Boadas alumnus, Juanjo Gonzalez, bought Caribbean Club a couple of years ago and gave it a new lease on life. The bar is now a haven for Barcelona’s cocktail enthusiasts, and not just because of the drinks: Gonzalez’s steady interaction with regulars and first-timers transforms the place into a must-visit bar. The diminutive spot has a strong rum focus, with many vintage Cuban cocktails (including the Canchánchara, Cuba’s oldest cocktail, made with rum, lime and honey), and perfectly executed classics, such as a beautiful thrown Negroni. Built in the late 19th century, the Eixample neighborhood is situated away from the tourist district, and today it’s a hot spot for good drinks, home to bars including one of Barcelona’s best-known, Dry Martini. Until current owner Javier de las Muelas bought it in the early ’90s, it was, as the name implies, a one-drink bar. Though the menu now offers a wider range of drinks, the namesake cocktail remains the star of the show. The Dry Martini’s ritual is elegant, with its dedicated work station and a counter on the wall displaying the number of Martinis ever sold at the bar (it hit 1 million in 2010). When you order a Dry Martini, you can ask for a signed certificate with your cocktail’s particular counter number. For more modern cocktails, there’s Solange right across the street. Named after a character in Ian Fleming’s Casino Royale and opened in 2014 by Alfredo Pernía, it looks glitzy, but it remains elegant and inviting. The menu focuses on high-end spirits mixed in creative cocktails, such as the Mr. Stamper, an enticing Gimlet twist with Riesling and cardamom cordial. For impressive garnishes and Instagram-ready drinks, head back to the Born and look for Paradiso. A semi-hidden bar (you first need to go through a pastrami shop, but, really, there’s no mystery, what with the imposing bouncer at the door), Paradiso was opened in late 2015 by Giacomo Giannotti, one of the numerous Italian bartenders to call Barcelona home. Named after the ice cream parlor run by Giannotti’s parents and built in a style reminiscent of the belly of a whale, Paradiso (and its drinks, like Le Peruvien) wouldn’t look out of place in London. Unexpected mixes and elaborately presented drinks are perfectly executed, as Giannotti and his team offer some of the best cocktails in town. For more of a party environment, the nearby Creps al Born, a pancake (yes, that’s right) and cocktail bar, has a light-hearted atmosphere and imaginative cocktails, such as the Mascarita, a frozen blend of cachaça, Becherovka, tequila, aloe, chili, cucumber and celery. It’s a necessary approach in a city where cocktail culture is still growing, and something that could help Bobby Gin survive for the long term. Though the bar sells an ocean of G&Ts in large glass goblets—with garnishes selected to complement a particular gin and its tonic pairing—Bobby Gin demonstrates it’s not a one-drink (or one-spirit) wonder, via cocktails like the Risco, with tequila, dry vermouth and curaçao, and the L’Escolar, with gin, tonic syrup and Byrrh aperitif. The cocktails are as beautiful as they are delicious at Enigma, the latest project from chef Albert Adrià (of el Bulli fame). The most talked-about food-and-cocktails spot at the moment is Enigma, the latest project from chef Albert Adrià of el Bulli fame. The restaurant’s set menu is built of about 40 plates and small bites, and diners can expect adventure: Although the central part of the meal takes place while seated at a table, guests are first taken on a ride throughout the monolithic gray space. Some of the snacks are paired with cocktails developed by Marc Alvarez, one of Spain’s most talented bartenders and director of beverages for Adrià’s six Barcelona restaurants. For Enigma, Alvarez worked with delicate flavors, experimenting with processes that could yield results similar to those derived using modernist culinary technology, but without the need to buy expensive tools. For the Velo, for example, Alvarez froze and clarified pear juice and mixed it with fino sherry, roasted coriander seeds and oregano. Cocktails and wine are served in small, tailor-made glassware, making it possible to experience a variety of drinks during the evening, and at the end of the meal, patrons are led through the storeroom to a hidden bar, where they can enjoy a (normal-sized) cocktail. For this space, they took 41°—Alvarez’s celebrated bar at Tickets, another of Adrià’s restaurants—and transported it lock, stock and barrel to the new restaurant. It’s currently only accessible to the restaurant’s guests, but it might accept walk-ins in the future. After two decades of looking for the next trend from abroad, Barcelona recently embraced some more local traditions, with Catalonian wines and, most of all, vermouths very much in demand. Spain is one of the biggest vermouth markets in the world, and Catalonia is thought to produce more than 20 million liters of the aromatized wine each year. Drunk for decades during what’s called la hora del vermut (“vermouth hour”), the wine has declined in popularity since the early ’80s, when people would arrange to meet “for vermouth” and instead order a beer. But Spain’s economic crisis—along with an ongoing political and cultural fight to defend Catalonia’s identity against what is perceived as an overly centralizing Spanish government—have helped reverse the trend, and many traditional bodegas have benefited, with more guests asking for their tap “house” vermouth (which is often passed off as artisanal but is actually made by some of Spain’s big producers, such as Yzaguirre and Miró). Spain is one of the biggest vermouth markets in the world, and Catalonia is thought to produce more than 20 million liters of the aromatized wine each year. Newer vermuterias are making a real difference in the city’s vermouth culture. One of the first was Morro Fi, a small space whose namesake vermouth was made for them by a reputed producer. Opened by owners tired of the homogenization of the city’s bars, Morro Fi proved so popular that they now run three more spots, where drinkers come to enjoy the small tapas selection, have a vermut preparado (vermouth with a bit of gin and soda) or take home a beautiful screen-printed vermouth bottle. Aperitif hour at Senyor Vermut. Senyor Vermut offers a wide selection of vermouth, and the star of the show is the house brand, made by a maverick producer who lets the moon cycle guide the maceration of his botanicals. In keeping with Spanish aperitivo culture, Miralles also selected some excellent sherries (“My mother comes from Andalucia, and I have sherry in my blood,” he says), and the tapas listed on the big blackboard are all stellar—the patatas bravas (cubed potatoes in aioli and spicy tomato sauce) are among the best in Barcelona. If Catalonia is such an important vermouth producer, it’s in part because the region produces so much wine. Quality has been steadily improving over the last 20 years, and though they’re a bit late to the game, natural wines are increasingly cropping up. 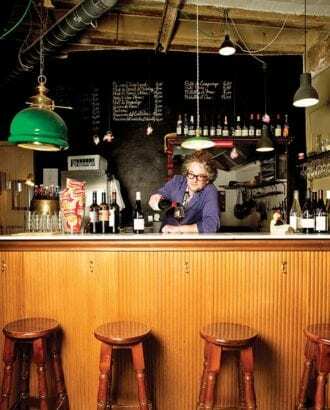 A few specialized wine bars have recently opened in Barcelona; one is L’Ànima del Vi in the El Born neighborhood. Co-owner Benoît Valée, a Frenchman, first opened a natural-wine shop in 2006, but he soon found out that the city was not yet ready, and his products were often misunderstood. “People would return the bottle, saying there was something wrong with it,” he says. Valée thought a bar could be a good platform for education. L’Ànima del Vi opened four years ago, and Valée keeps the retail side going—every wine served in the bar can be bought by the bottle to take home. The wines are mostly from Valée’s native France, but great Spanish natural wines can also be found. Valée offers a small selection by the glass and a much larger selection by the bottle, to be enjoyed with the food the tiny kitchen puts out. L’Anima del Vi co-owner Benoît Valée offers wine by the glass and to-go from the retail side of the bar. Less than a five-minute walk away, regional and Italian natural wines rule the roost at Can Cisa/Bar Brutal. Set in a restored traditional colmado (a wine and food shop) that first opened in 1949 and is still decorated with the barrels originally used to sell wine, brandy or vermouth, Bar Brutal may have a look of freshly burnished history, but their natural or biodynamic wines, organic vermouth and beers, and food are top-notch. Run by twins Max and Stefano Colombo (Max is an Italian chef of some renown in Barcelona) and wine distributor Joan València, it’s become an essential stop for wine drinkers. The emergence of a natural-wine scene is part of Barcelona’s wider quest for its identity: There is growing concern among locals that their city is too focused on tourism—that through its post-Olympics modernization, it has lost its soul. But if there’s an area where Barcelona appears to have struck a perfect match between tradition and cutting edge, it’s gastronomy—and from the traditional vermouth bars to innovative cocktail spots, drinks are clearly a big part of Barcelona’s appeal. François Monti is a Belgian drinker who writes. 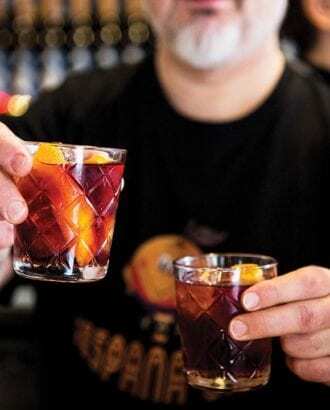 He is the author of three books, including El Gran Libro del Vermut and 101 Cocktails to Try Before You Die, and his work has appeared in Punch, Tapas, Whisky Magazine and other international publications. He is usually found near his home in Madrid, drinking vermouth on tap or, on rare rainy days, looking for cocktails in movies. 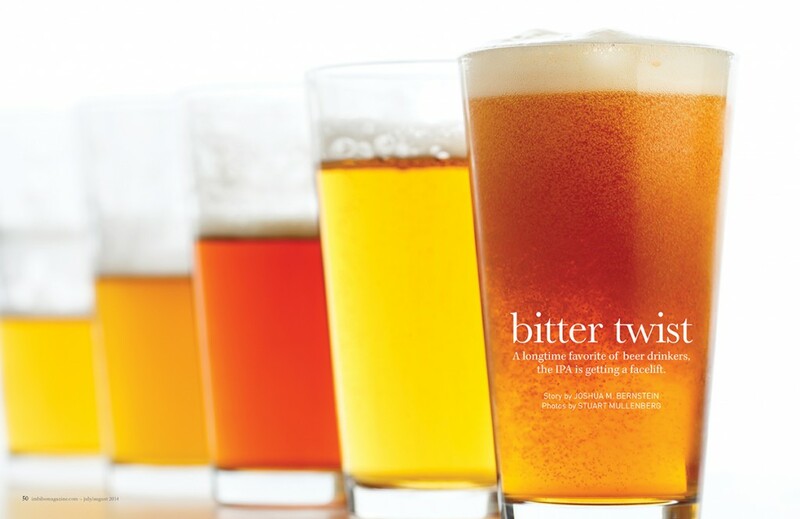 If there’s an archetype of American craft brewing, it’s the IPA, but as America’s craft-beer scene has evolved, so has its approach.